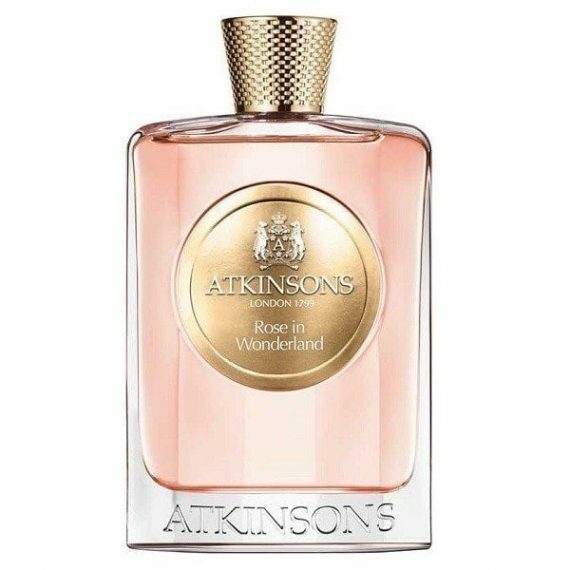 Rose in Wonderland Eau de Parfum by Atkinsons is a part of their Contemporary collection and is a feminine fragrance. It is a surprising reconstruction of rose which focuses not only on the iconinc scent but on each and every facet of the flower. The top notes of Rose and Blackcurrant Buds combine with middle notes of Germanium base notes of Vetiver and Crystal Amber to form. As the name suggests, the most dominant note is Rose but the fragrance oscillates between a delicate, luminous rose dew accord and the sombre, voluptuous, honey-tobacco accents of the unique centifolia rose. The scent has a medium to long longevity. The fragrance was launched in 2014 and is available in a sleek and stylish transparent 100ml bottle with a metallic logo and lid with the brand’s emblem. Everything about this bottle oozes royalty and luxury. The two other scents in the collection, Posh on the Green and Lavender on the Rocks are also available. “Wanted something really different to anything I have previously worn, and something that not everyone is wearing.